The Sahana Software Foundation is excited to invite participants for our upcoming SahanaCamp and Sahana Conference to be held in conjunction with the Indian Ocean Tsunami 10th (IOTX) Anniversary convention in Colombo Sri Lanka between 18-22nd June. Get hands on experience using Sahana to manage information, gain situational awareness and make decisions in a disaster simulation. SahanaCamp is aimed at people working for a disaster management agencies and organizations or those involved in disaster management research. 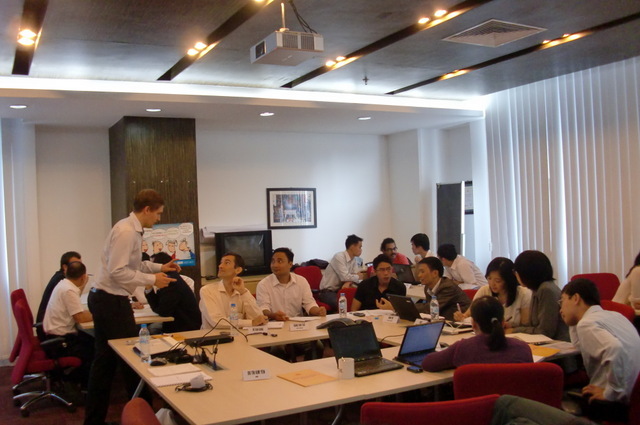 The Sahana Software Foundation has delivered SahanaCamp workshops in India, Vietnam, Lisbon, USA and Taiwan. They are opportunities to connect with other regional experts and share from the international experience of the Sahana Team. The Sahana Conference will combine the Sahana Software Foundation’s Annual General Meeting with community lead BarCamp sessions and social activities. This will be a is an time for member of the Sahana community to gathering together to collaborate, sharing experiences & ideas and plan ways to improve Sahana. The Social activities will involve an exciting boat safari through the breathtaking marshlands of the Madu River, a tour of cinnamon production, which originated in Sri Lanka and a zoo where you will have the chance to meet ‘Doctor Fish’ that nibble at ankles and to pet and a live baby crocodiles! For more information got to http://eden.sahanafoundation.org/wiki/Event/2014/IOTX or Register Now! Previous Post: Welcome to 2014 Sahana Google Summer of Code Students!